Almost 10 years ago, we created the Science 2.0 movement, which was geared toward modernizing science collaboration, publication, communication and participation. And then...not much changed. Science is, at its heart, competitive and there is no benefit for most scientists in collaborating. The person who puts something all together at the end will win a Nobel Prize and everyone else will get nothing. On the smaller scale, everyone who wants government funding is competing for it, so collaboration will only help another lab avoid expensive mistakes or get to a result sooner. Science 2.0 was greeted with enthusiasm...for someone else, anyway. But new efforts continue to crop up. After Science 2.0 came Open Science and now various teams at a Horizon 2020 project are incorporating Wikidata, a databases flavor of Wikipedia, with research workflows, creating a new virtual research environment (VRE) for Open Science, called Wiki4R. The plan combined approaches to make Wikidata useful for researchers both across disciplines and for several specific use cases, e.g. chemistry. The grant proposal was submitted in January and ultimately rejected, but its drafters believe it contains a range of ideas that may still be worth pursuing. In reality, institutional approval is always going to be the kiss of death for this sort of thing. Wikipedia got grass roots support, whereas many academics are only willing to be interested in something if they get paid. "The idea of a closer integration between Wikidata and research workflows is not itself rejected, and we believe that it is useful for both the research and Wikimedia communities to continue to explore the opportunities here, to pilot them and to keep talking to funders and other stakeholders about the value that such infrastructure would provide to society, so they can consider making the necessary resources available," comments Dr. Daniel Mietchen, who spearheaded the effort. 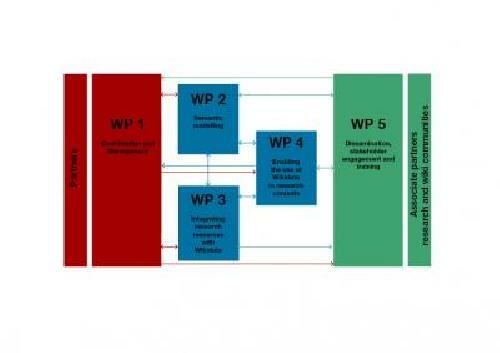 In order to stimulate such activities, the Wiki4R proposal is among the first ones published via the new open-access journal Research Ideas&Outcomes (RIO). "Our proposal focuses on the needs of open science and empowering researchers to work together across disciplines in an open environment," explains Dr. Daniel Mietchen. "The concept of open science is central to this proposal. Open science is highly inclusive, inviting collaboration from professional peers as well as other interested parties, including citizen scientists. It is also open with respect to the process, providing access to research as it unfolds, allowing anyone to engage with it right away."